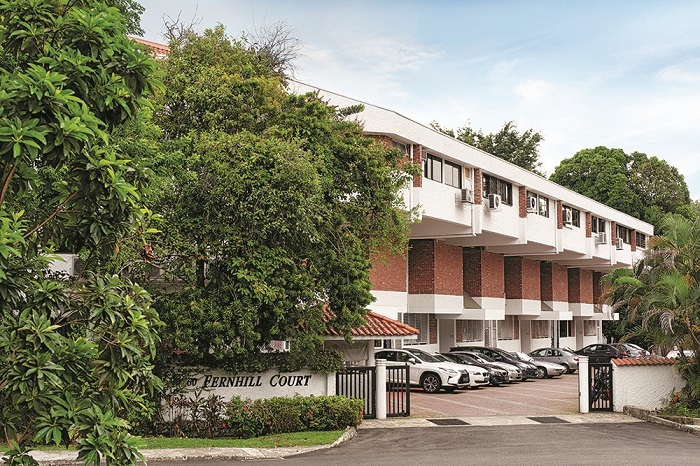 Fernhill Court in prime District 10 has launched a collective sale via public tender for $125 million, announced marketing agent Colliers International. The price translates into a land rate of $1,885 psf per plot ratio (ppr), including a $3.7 million development charge payable for the intensification of land use. 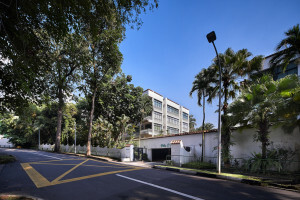 On May 11, the nearby Villa D’Este on Dalvey Road was bought by Singapore-listed KOP Ltd for $93 million ($1,898 psf ppr). 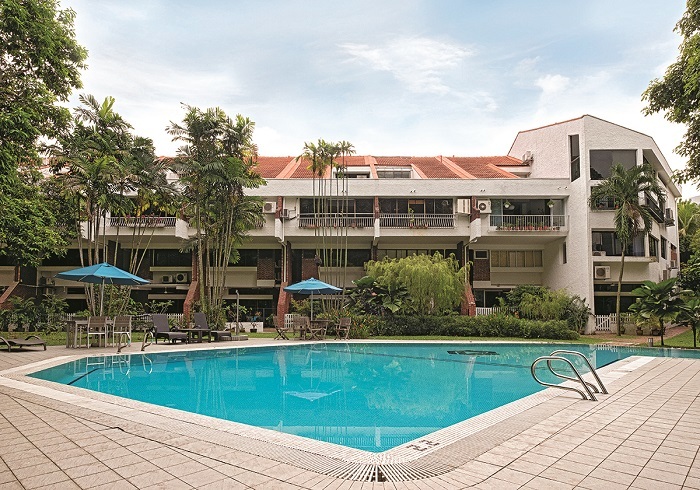 Built in 1981, Fernhill Court, a freehold development, comprises 18 maisonettes from 2,271 to 2,982 sq ft. All of the owners have given their consent for the sale which does not need approval from the Strata Titles Board. If the sale is successful, each owner is expected to walk away with at least $6.32 million to $8.3 million, says Colliers. “The site will allow the successful tenderer to create a luxury boutique development comprising 90 new homes with an average size of 750 sq ft,” says Tang Wei Leng, managing director at Colliers International. Fernhill Court sits on a 48,768 sq ft, freehold plot. Under the 2014 Master Plan, it has no plot ratio indication and the building height is subject to detailed control. But submission has been made for a proposed residential development with a gross plot ratio of 1.4, comprising a five-storey block and a two-storey block. The tender will close on June 21.